The Mimir is now a Fantasyhoo Star Site! "This is not only by far the best Planescape page on the web, but the best personal RPG page that you will probably ever put your eyes on berk..."
What can I add apart from: thanks very much! "This is to inform you that your site has been selected as the recipient of the coveted RPG Finder site of excellence award. 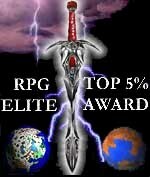 This award is given to those sites that stand out as the best of the best fantasy/RPG related pages." In the nine months the competition ran, Mimir.Net came first every time! The AD&DSE has now stopped being updated, but it's still got a large selection of AD&D links you can browse. "...I've been meaning to send you this award for some time because I think you have an absolutely phenomenal site. I am greatly impressed and envious of your talent. The graphics and design of your site are absolutely amazing to me. 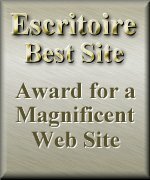 So what I'm awarding you is my Escritoire Best Site award. I have awarded a lot of Escritoire Excellence awards, but this is the first Best Site award I'm granting. Your site is just too good to deserve otherwise..."
..."Thank you for making the web a better place to surf with your fantastic RPG website. I truly wish that there were more sites out there that were of the same high quality as yours!" 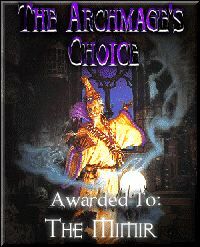 "In response to the effort and skill put forth by you in the creation of your website Mimir.Net, your site was selected with several other outstanding fantasy sites, and was chosen best in the month." The April Award for best site, from Jeff Bunde (aka Gothenem). Thanks! "Please accept this as a gift to a person who takes AD&D to greater heights." Geocities ran a competition in February 1997 (back in the old days when the Mimir was a fledgling Geocities site) to determine the best site in each category it offers; Game Site was one of them. It's a competition based on the number of votes each site can earn from visiting voters, and I was delighted to get into the second round (thank you very much to everyone who voted for me) -- and be in the top five game sites on Geocities. Thanks very much to Andrew Sain for this one. Now this is going to sound cheesy and like it's a set up, but it ain't (you know me ;-). 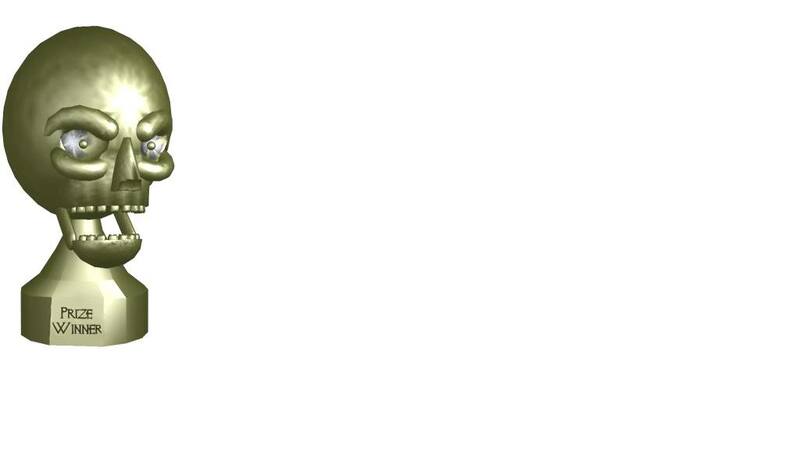 His Web Site really is good, and he also maintains the GraphX Kingdom, which is a great place to find icons. He tells me "If you need an icon I have it, and if I don't I will find it for you."